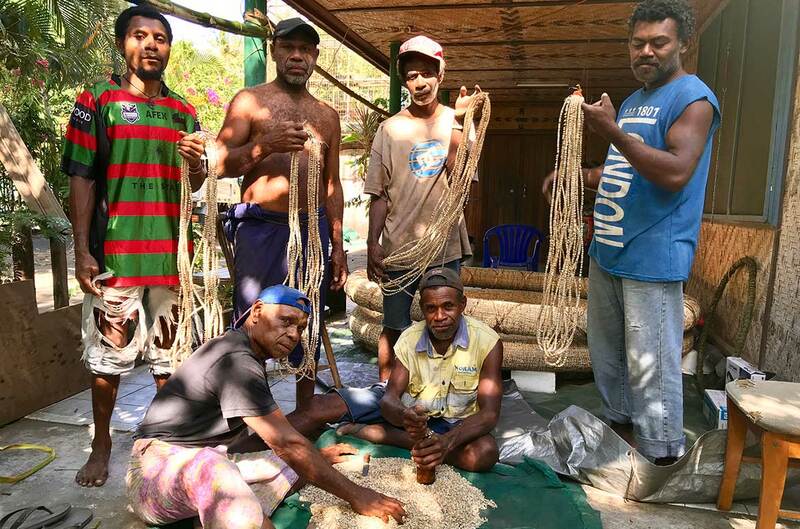 Following years of collaboration and building relationships, the Gallery recently commissioned and acquired eight majestic rings of Tutana of Loloi created by a group of Gunantuna (Tolai) men from Nangananga village in East New Britain, Papua New Guinea. Designed to mesmerise their viewer, the spectacular rings are banks of shell money and objects of social value. The jewel like shell encrusted cane strips comprising them – known as Diwarra or Tabu – are legal tender in East New Britain. 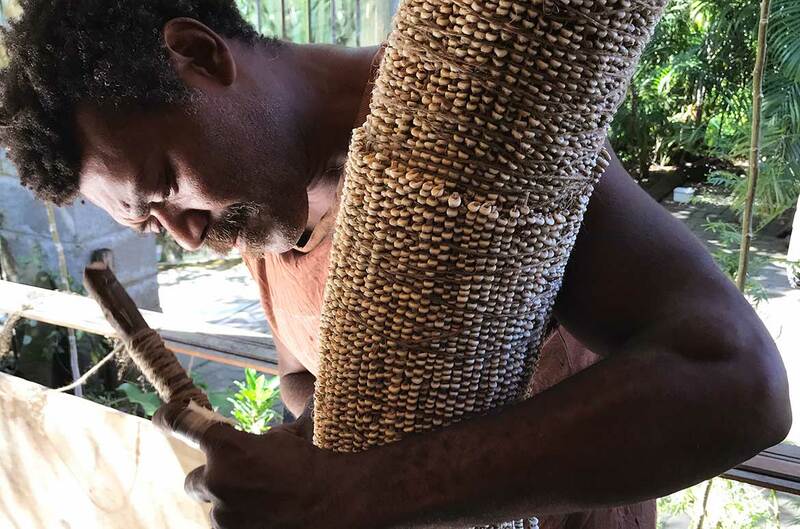 Diwarra has a market value and is used by the Gunantuna alongside the national currency, the PNG kina, for everyday transactions including buying trade store goods and paying school fees. It is the only currency, however, used within rites relating to bride price, the distribution of wealth at death and initiation where amounts distributed are ceremonially fixed. 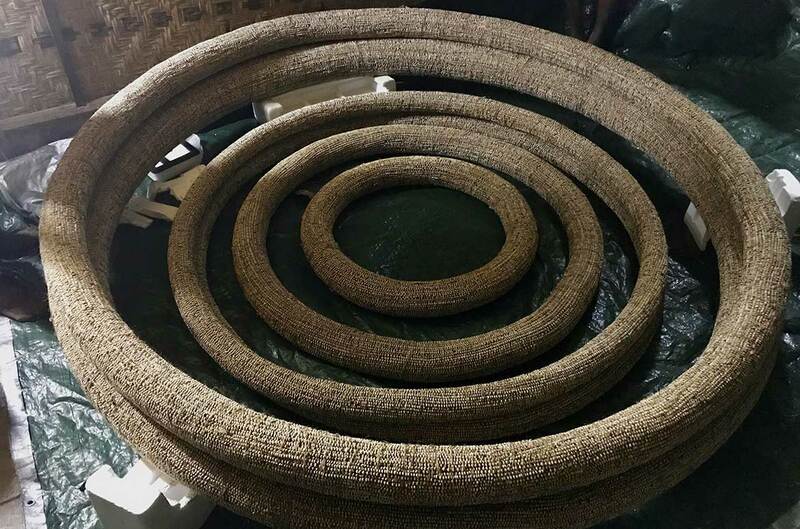 In these circumstances, Diwarra laboriously bound into rings of Loloi or Tutana articulates and enacts important relational connections. Long canes of shells and rings of finely bound canes constitute gifts between clans and individuals that mark their connectedness. 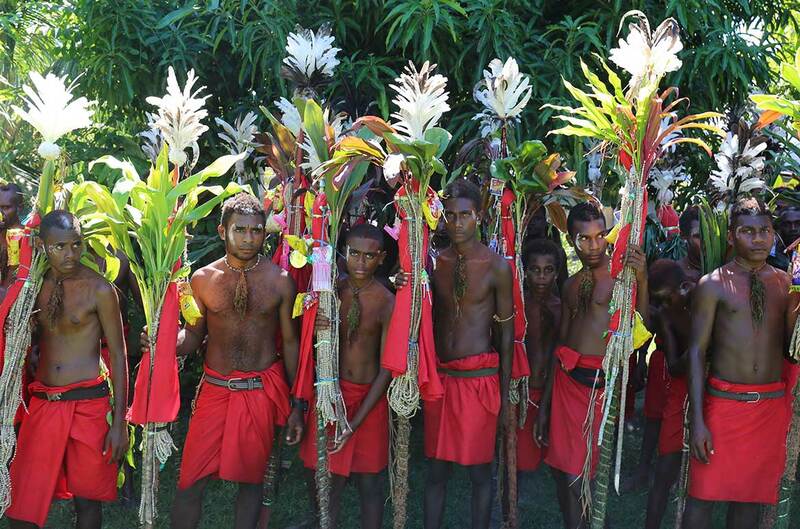 Diwarra can be stored in a Loloi for decades and its emergence and re-distribution enacts connections not only between those present at the ceremony, but between the living and those who have passed. The creation of the APT9 Loloi of Tutana was led by artist and historian, Gideon Kakabin an initiated elder from Nangananga who very sadly passed away shortly after the works were completed. 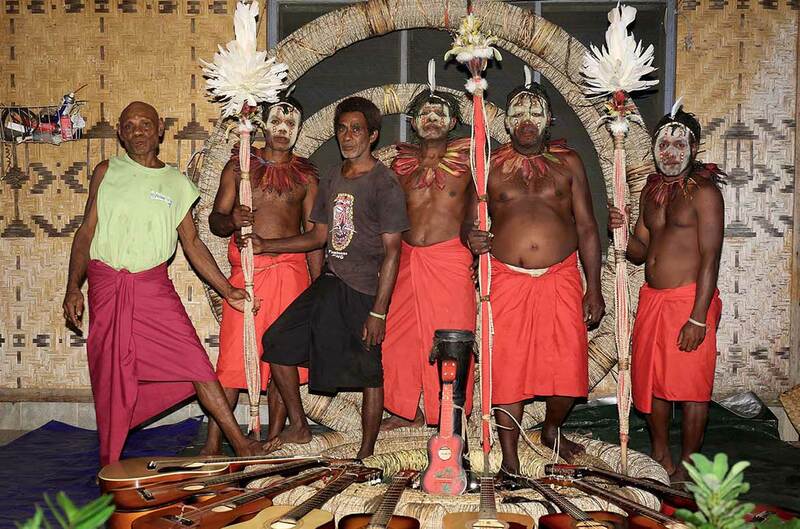 A ceremony known as a Minamai Minamai, involving family, friends and local Gunantuna community members will be held alongside the launch of Minamar na Tutana ma Loloi (Tutana and Loloi display) 2018 as part of the opening weekend of The 9th Asia Pacific Triennial of Contemporary Art (APT9). 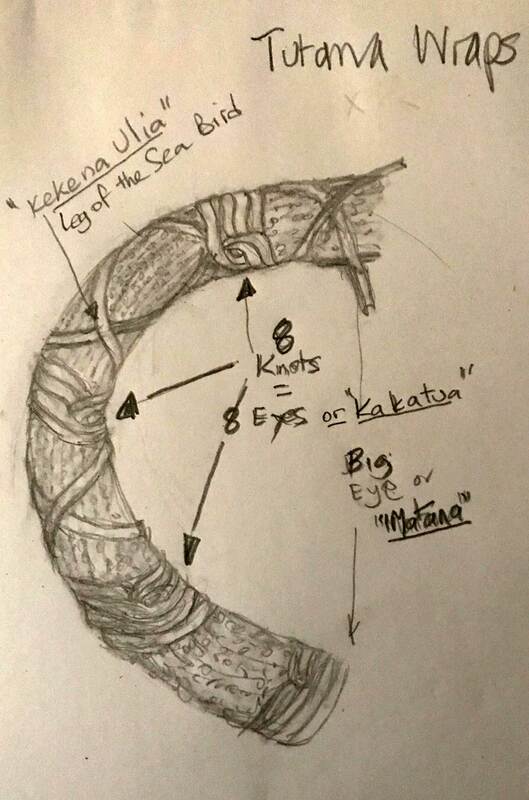 As part of the Minamai Loloi of Diwarra acquired by the Gallery will be broken open and designated lengths of Diwarra will be distributed as a mark or respect and connection to Gideon. Gideon Kakabin was a man who shared his knowledge and energies generously through his work in fields as diverse as software development, tourism, history, culture, art and ethnography. His capacity to attract a commission and then collect the Diwarra and engage enough men to create the enormous APT9 Minamar na Tutana ma Loloi (Tutana and Loloi display) are a mark of his integrity as well as the sophistication and extent of his cultural connections and standing. The Loloi broken and distributed to commemorate his passing adds to his standing. 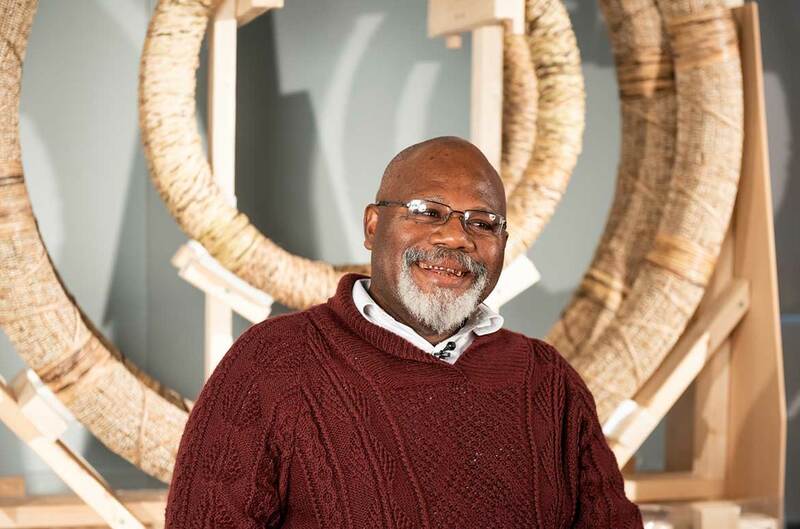 Both Gideon Kakabin and the APT9 work that he led, symbolise the moral and spiritual importance of building, valuing and maintaining relationships to the Gunantuna. 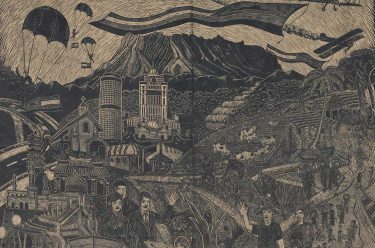 The Gallery has maintained a commitment to artists and culture of the region for over 25 years through ‘The Asia Pacific Triennial of Contemporary Art’, and we are proud to introduce audiences entering GOMA to this important exhibition series with this work and the relational connections it speaks of.